Orlando, Florida – May 25, 2016 – (INTUITION Brand Marketing) – The recently launched American Resort Collection (ARC) has confirmed it has already entered into agreements with four resorts in Florida. ARC has been established by a team of hotel and vacation ownership industry veterans to provide a wealth of supportive services to timeshare resorts, associations, and independent developers. At The Palm Beach Resort & Beach Club in the exclusive town of Palm Beach, ARC has acquired the management contract plus around a third of the resort’s inventory. This investment has financially transformed the resort and provided it with 100% dues-paying members. 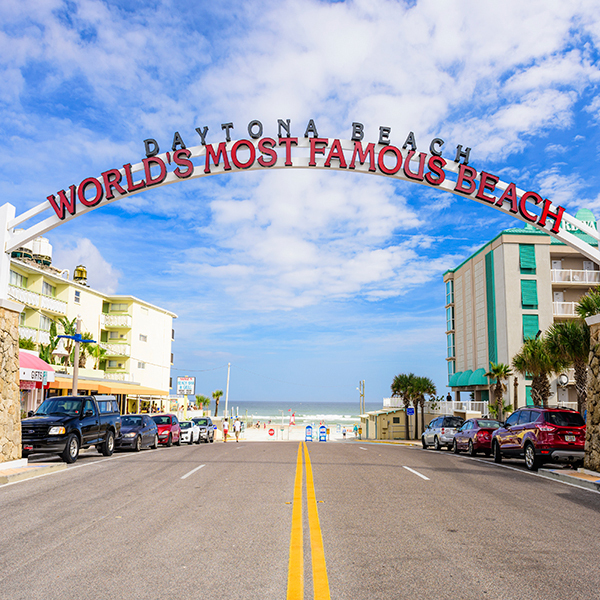 The Americano Beach Resort in Daytona Beach will also benefit from a significant investment by ARC, who secured the management contract, and also acquired 2,000 weeks of inventory and real estate, plus rights for future development at the property. At the Marina Bay Resort in Ft. Walton Beach, ARC purchased the management contract, plus committed to fund the conversion of the timeshare interests from deeded to flexible trust interests, and to sell or acquire a substantial volume of the association’s non-performing inventory. “We are excited to help revitalize these great properties, turning them once again into viable, profitable resorts that continue to provide exceptional vacations.” says R. Scott MacGregor, president of the American Resort Collection. At each resort, ARC is now working with the Association Boards to implement a strategic repositioning plan that will include capital investment, product restructuring, and quality upgrades, relying on sales revenues to be a prime source of the funds required to reinvent and renew each destination. ARC offers a highly compelling, multi-faceted approach to resort re-development; from a robust proprietary IT platform that seamlessly integrates with accounting, merchant and POS systems, to sales and marketing teams that boost resort revenues by selling ARC’s exciting and flexible vacation club product that is customized to meet the unique needs of each resort. ARC’s goal is to reestablish resort sustainability by providing expert marketing, sales, and rental programs backed up with proven resort management and development experience. At a fourth resort in the Orlando area, Calypso Cay, ARC has partnered with developer Steve Bradley to deliver sales under the resort’s new RCI agreement. “Steve’s a great developer with deep knowledge of the Orlando market. Together, we’re building a first-class sales organization that will bring enduring benefits to all involved,” says MacGregor. ARC seamlessly provides Management, Sales & Marketing, Development and Vacation Club expertise. The company’s extensive management experience enables resorts to take advantage of benefits and efficiencies more commonly associated with large brands. Their sales and marketing services are delivered by licensed representatives using the latest technologies, and the white-label vacation club combines the best elements from the last 35 years; providing the most flexible and exciting vacation product on the market. The American Resort Collection is a brand of The American Resort Coalition, Inc.